By introducing defects into the perfect surface of graphene on silicon carbide, researchers at Linköping University in Sweden have increased the capacity of the material to store electrical charge. This result, which has been published in the scientific journal Electrochimica Acta, increases our knowledge of how this ultrathin material can be used. The thinnest material ever produced, graphene, consists of a single layer of carbon atoms. They form a chicken-wire structure one atom thick, with unique properties. It is around 200 times stronger than steel, and highly flexible. It is transparent, but gases and liquids cannot pass through it. In addition, it is an excellent conductor of electricity. There are many ideas about how this nanomaterial can be used, and research into future applications is intense. "Graphene is fascinating, but extremely difficult to study," says Mikhail Vagin, principal research engineer at the Department of Science and Technology and the Department of Physics, Chemistry and Biology at Linköping University. One of the factors contributing to the difficulty in understanding the properties of graphene is that it is what is known as an "anisotropic" material. This means that its properties when measured on the plane surface of the carbon atom layer differ from those measured at the edges. Furthermore, attempts to understand the behaviour of graphene at the atomic level are complicated by the fact that it can be produced in several ways. The properties of graphene in small flakes, which have many edges, differ in several ways from those of graphene produced as sheets with an area around 1 cm2. The researchers who carried out the study used graphene created on a crystal of silicon carbide by a method developed at Linköping University. When silicon carbide is heated to 2000 °C, silicon atoms on the surface moves to the vapor phase and only the carbon atoms remain. The graphene does not react easily with its surroundings due to the high quality of the graphene layer and its innate inertness, while applications often rely on controlled interaction between the material and the surroundings, like gas molecules. An on-going discussion among researchers in the field is whether it is possible to activate the graphene on the flat surface or whether it is necessary to have edges. The LiU researchers investigated what happens when defects in the surface are introduced in a controlled manner, and in this way attempted to understand in more detail how the properties of graphene are related to its structure. "An electrochemical process known as 'anodising' breaks down the graphene layer such that more edges are created. 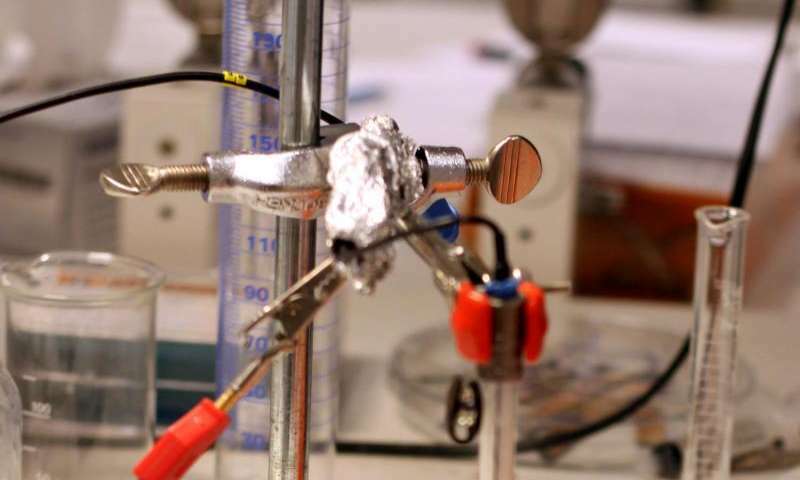 We measured the properties of anodised graphene and discovered that the capacity of the material to store electricity was quite high," says Mikhail Vagin. More work is necessary before the new knowledge can be used, and to produce the same effect at a larger scale. The scientists plan to follow up the research in several ways. "Graphene on silicon carbide can be made in larger areas than other types of graphene. If we can change the properties of the material in a controlled manner, it may be possible to tailor the surface for other functions. 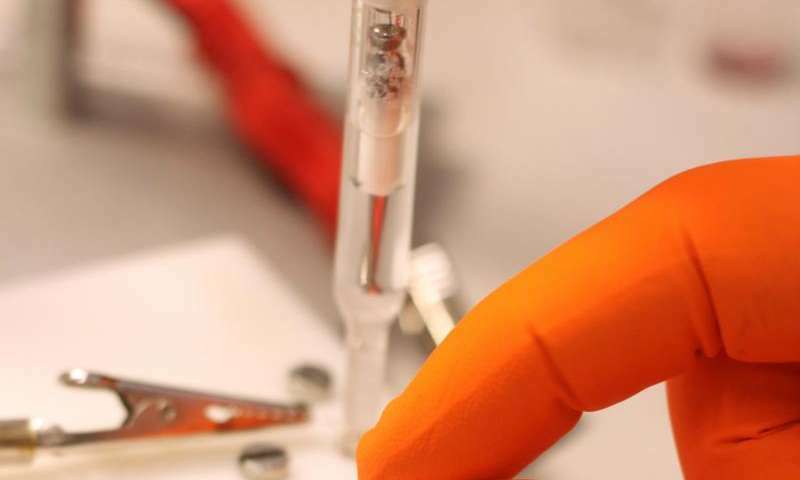 It may be possible, for example, to create a sensor that has its own built-in battery," says Mikael Syväjärvi, principal research engineer at the Department of Physics, Chemistry and Biology and co-author of the article. He is one of the founders of a company, Graphensic AB, that works with commercial applications of graphene on silicon carbide. The results arose from a degree project carried out as a collaboration between Graphensic and researchers at Linköping University.